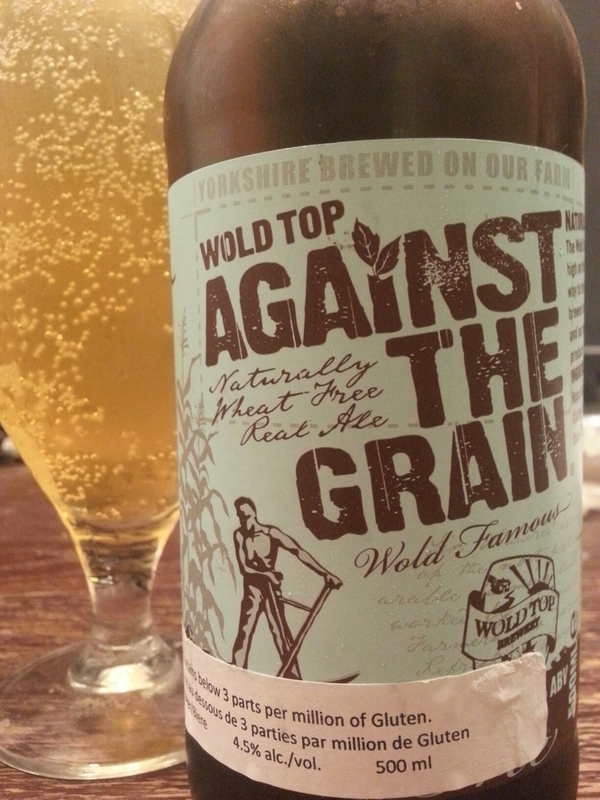 Against the Grain (Gluten-free) – Wold Top Brewery (UK) | Justintoxicated. -My 2nd Wold Top beer, the 1st being their Marmalade Porter (B-) which I enjoyed. 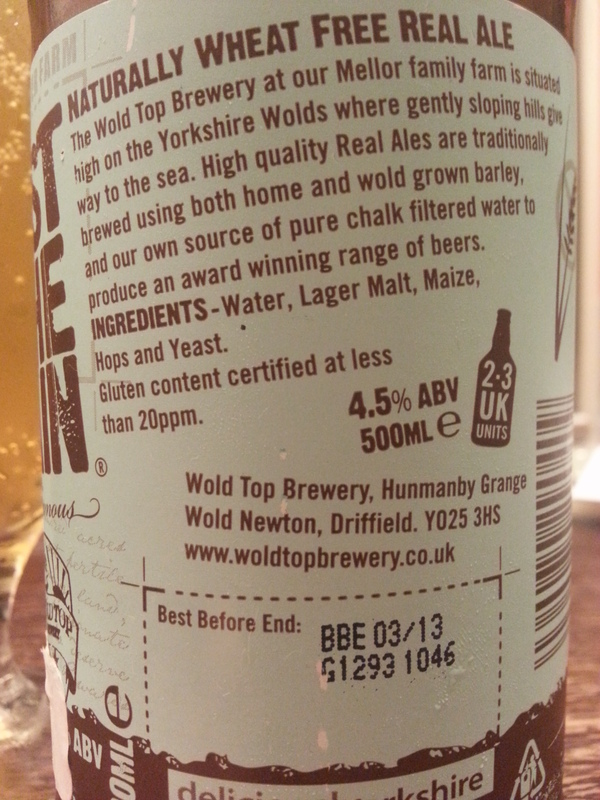 “Naturally wheat free real ale. The Wold Top Brewery at our Mellor family farm is situated high on Yorkshire Wolds where gently sloping hills give way to the sea. High quality Real Ales are traditionally brewed using home and wold grown barley, and our own source of pure chalk filtered water to produce an award winning range of beers. Visual: (cellared for 3 years). Pours clear apple juice yellow with a quickly dissipating small head, large bubbles clinging to the side of the glass, varied speed singular streams. Summary: This one loses carbonation fast and drinks quite thin compared to beers without a corn adjunct. At least the hops are there but nothing much else. Skip it.